The outdoor ice skating rink returns to Birmingham's Centenary Square for the run up to Christmas along with the Big Wheel. 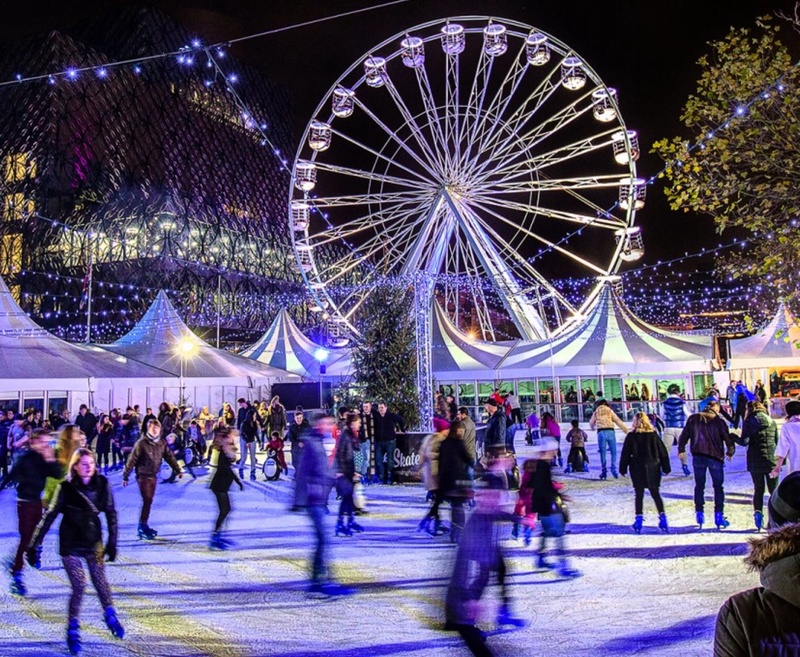 Ice Skate Birmingham will pop up in the city centre from November 14, 2015 to January 10, 2016, just steps away from the fun-packed Frankfurt Christmas Market and observation wheel. As well as an ice skating rink, there is also the Ice Lounge serving food and drinks from mulled wine to hot chocolate. Up to 300 people will fit on the rink at Ice Skate Birmingham and there are even penguin skating aids to hold while skating to give more confidence to beginners on the ice. Each session lasts for 45 minutes and starts on the hour from 10am to 10pm. Although the rink closes early at 6pm on Christmas Eve and is not open on Christmas Day. The Ice Lounge provides shelter from the cold next to the ice rink. Wheelchair users can also use the ice rink with a carer if they book in advance and let Ice Skate Birmingham know so arrangements are in place. The Ice Lounge is open until 1am on New Year's Eve.